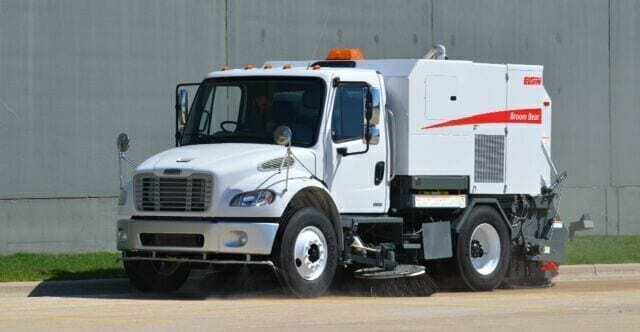 When it comes to sweeping, Atlantic Sweeping & Cleaning has the experience and expertise to keep your parking lot, street, or garage in top shape. 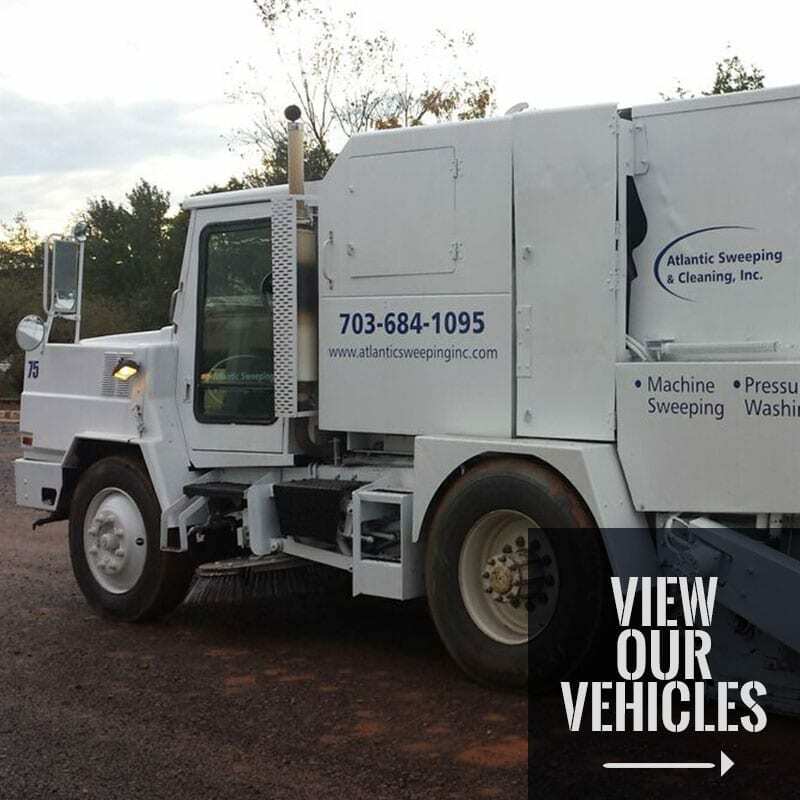 We own and maintain our own fleet of trucks and equipment including pick-up trucks, dump trucks, small garage sweepers, and truck mounted sweepers. 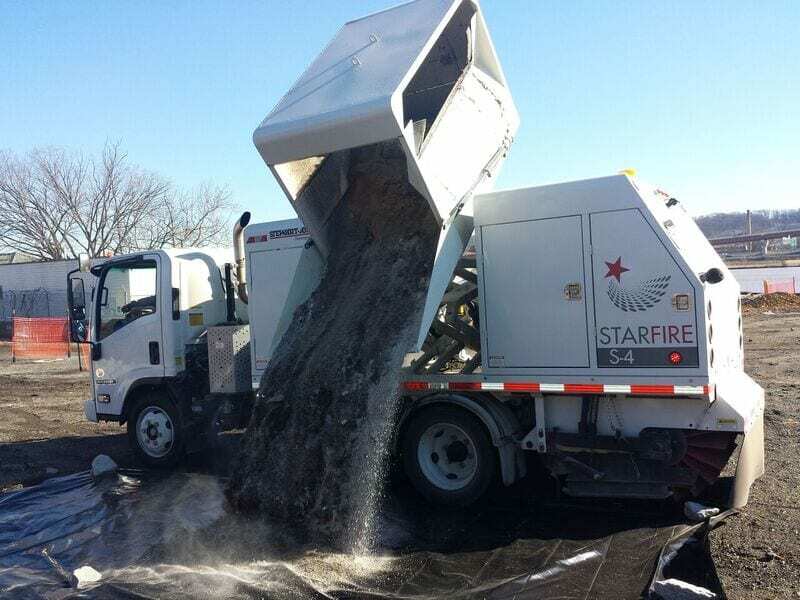 In addition, we ensure that our sweeping services meet the needs of your business by offering nightly, weekly, biweekly, and monthly service schedules. 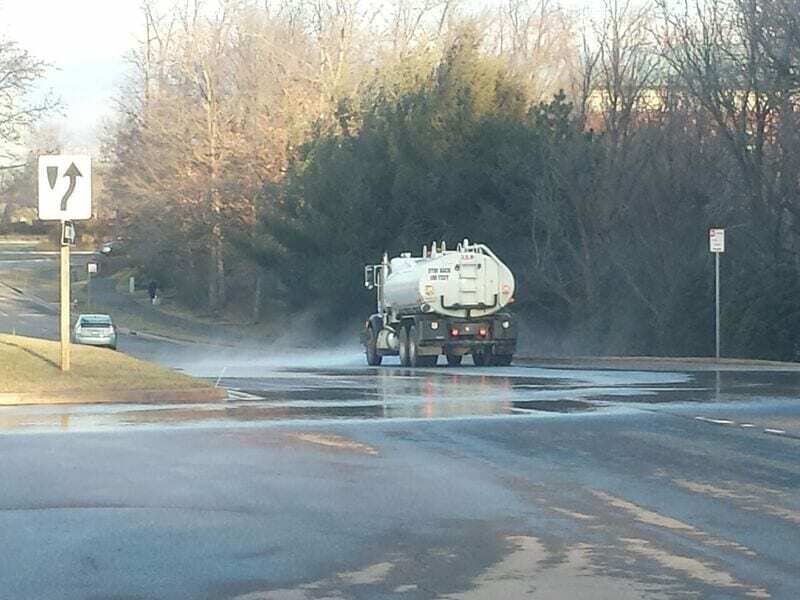 If you are in need of parking lot sweeping, choose Atlantic Sweeping & Cleaning to get the job done right. 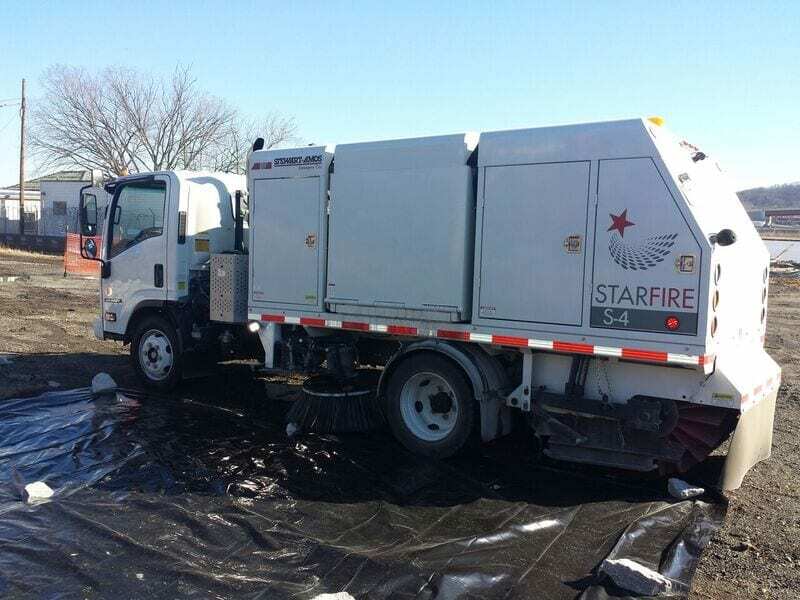 We offer a full fleet of truck mounted sweepers, each including both a driver and a helper. 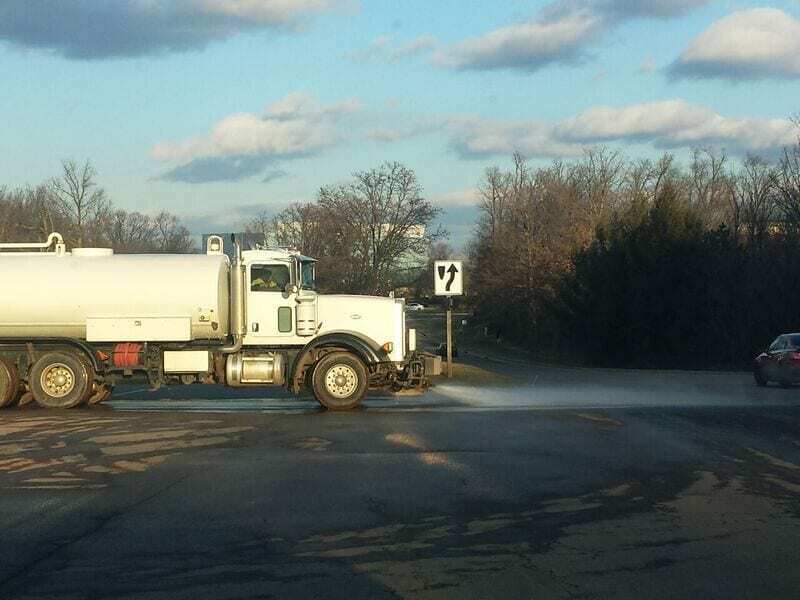 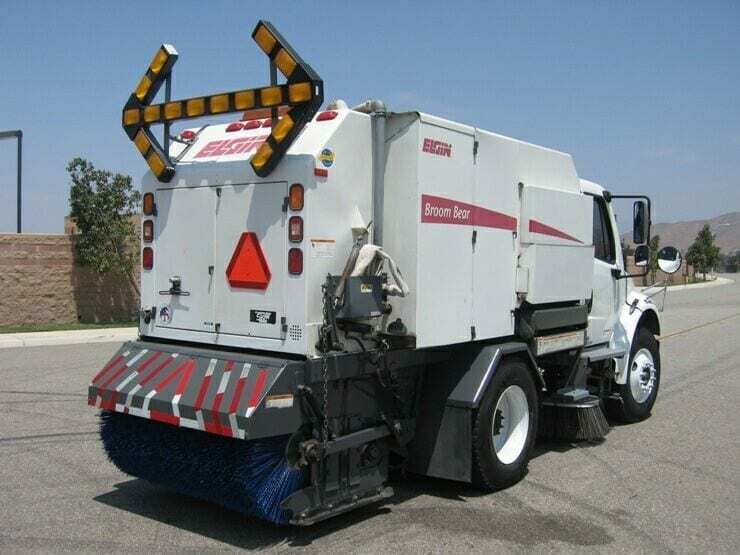 While the driver controls the truck, the helper uses a backpack blower to eliminate all debris from the sidewalks, curbs and hard to reach areas. 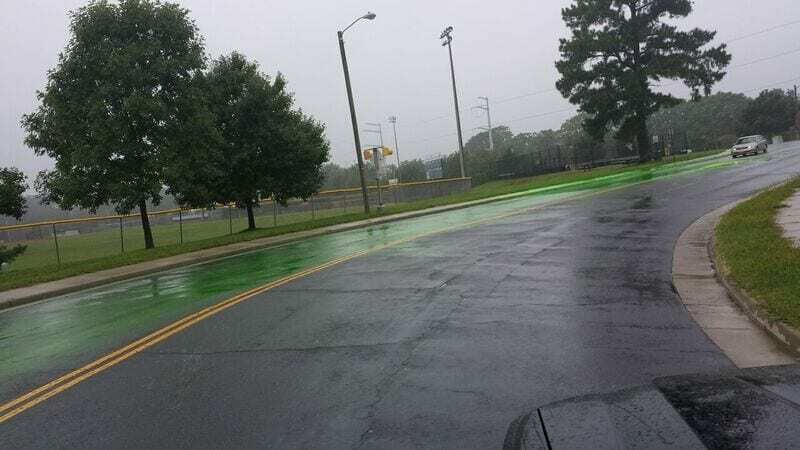 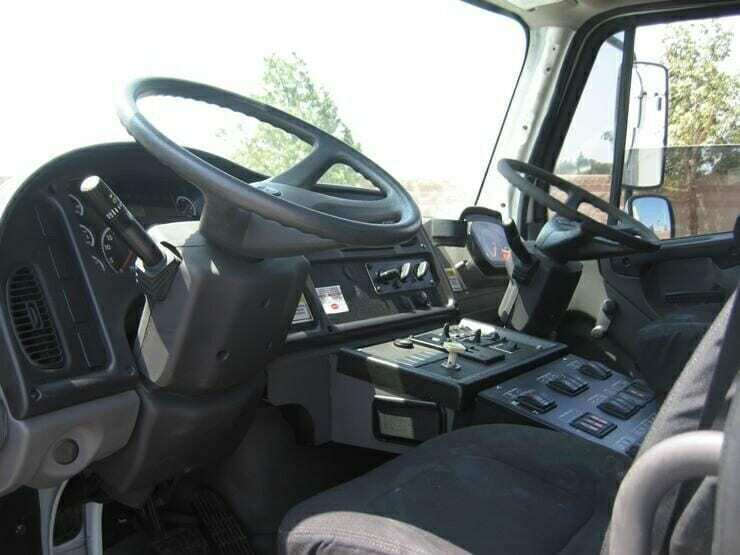 By equipping each truck with smartphones, we ensure that any acts of vandalism or illegal dumping are caught, and we notify our clients immediately if such acts occur. 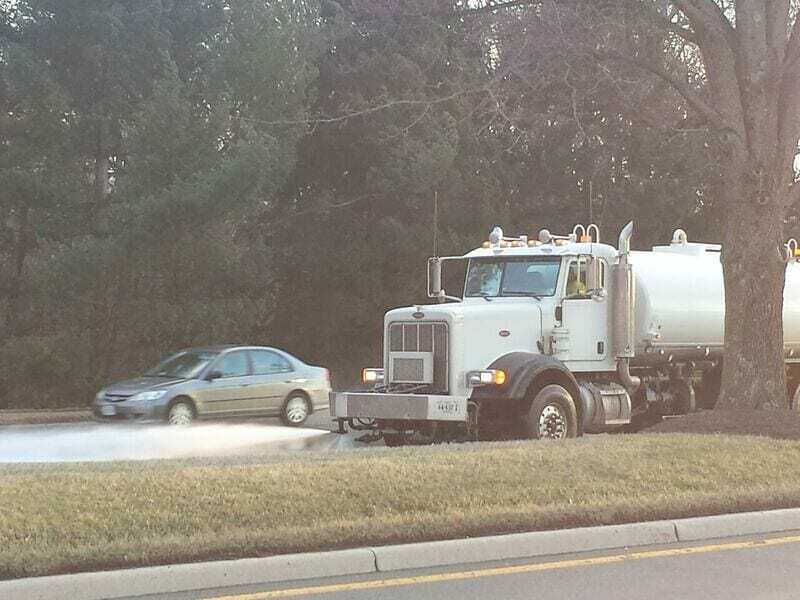 Furthermore, all of our employees are trained to completely clear off your parking lot; if necessary, they will hand pick both paved areas and non-paved spaces such as green areas, bushes, planters, and car corrals. 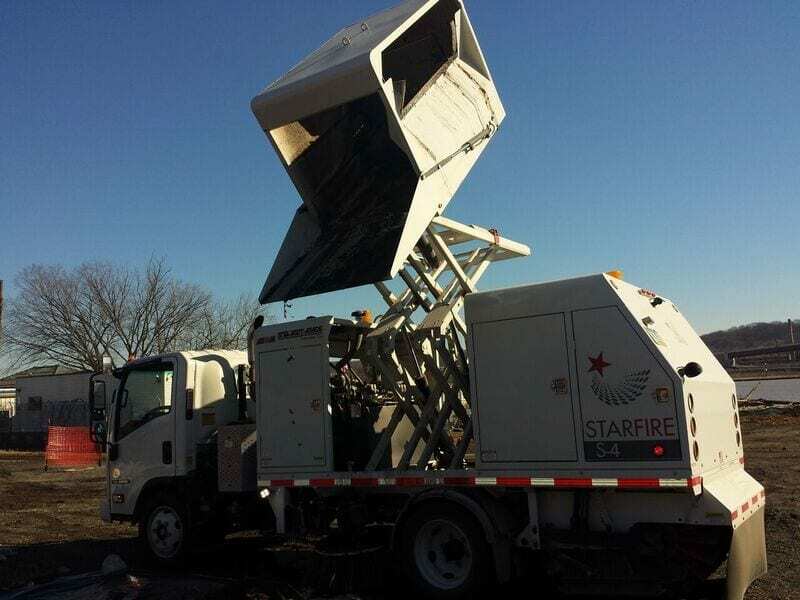 Our team also empties the trashcans in your lot and changes all plastic liners. 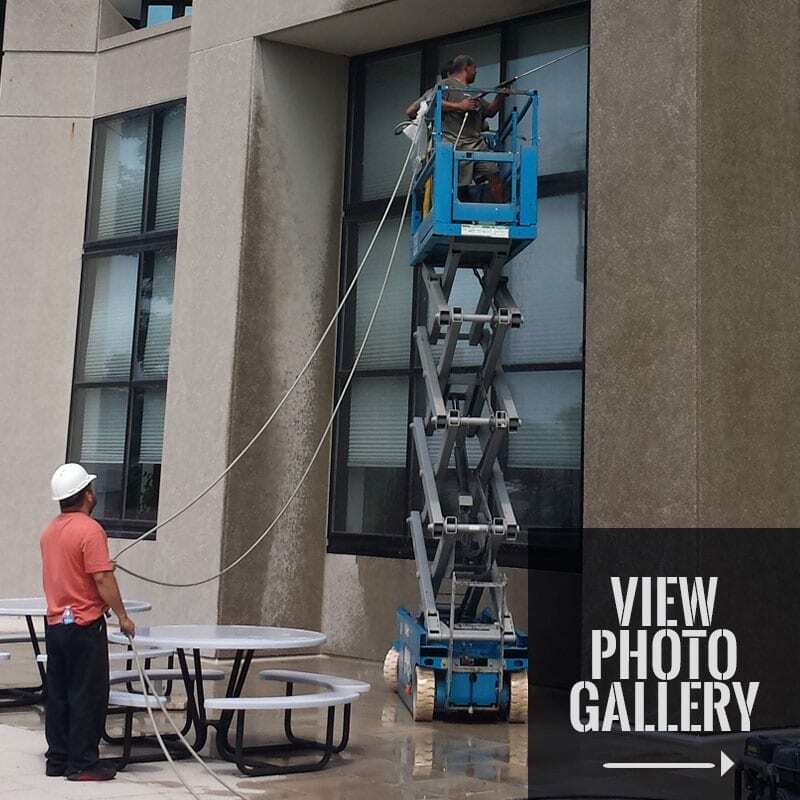 In addition, our common area maintenance practices include wiping down any elements in your parking lot that are dusty or dirty, such as trash receptacles, window sills, and telephone booths. 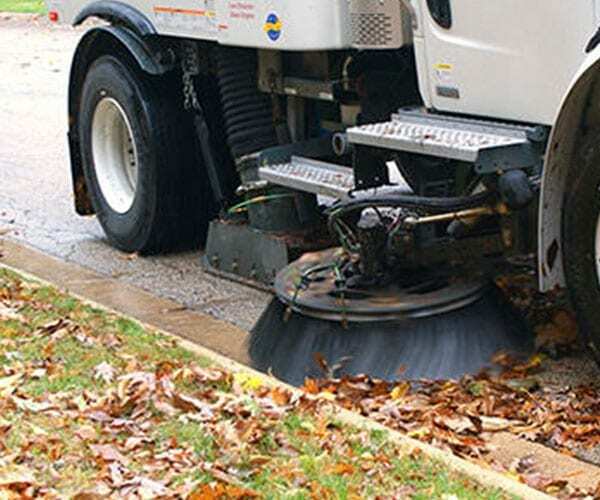 Garage Sweeping in Virginia, Maryland, and Washington D.C. 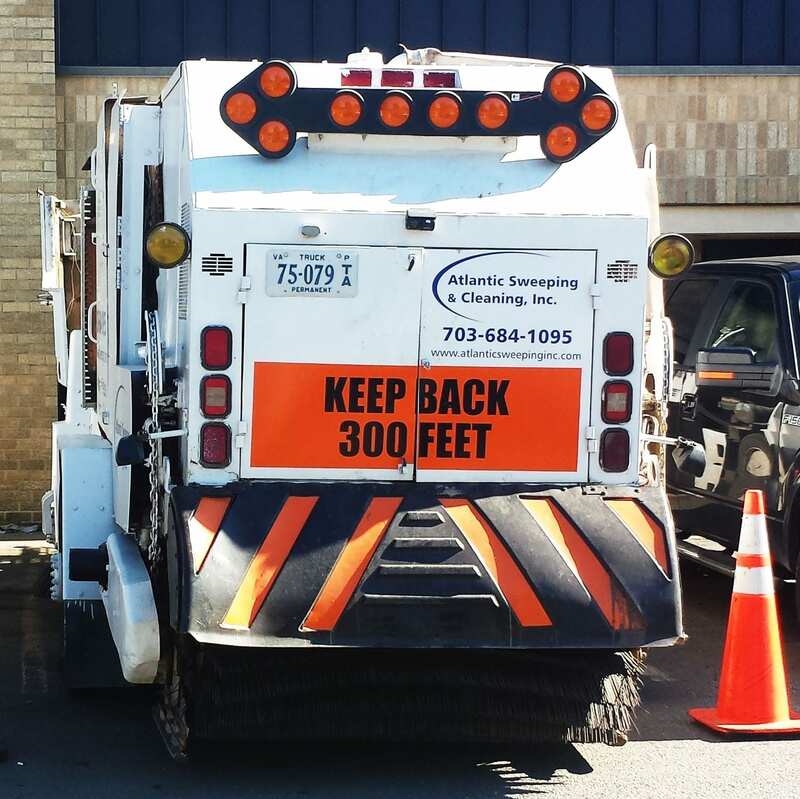 Does your business operate a parking garage? 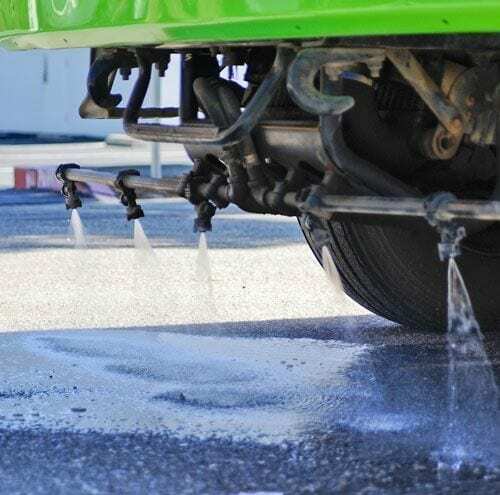 Atlantic Sweeping & Cleaning offers garage sweeping services to keep your parking garage in top shape. 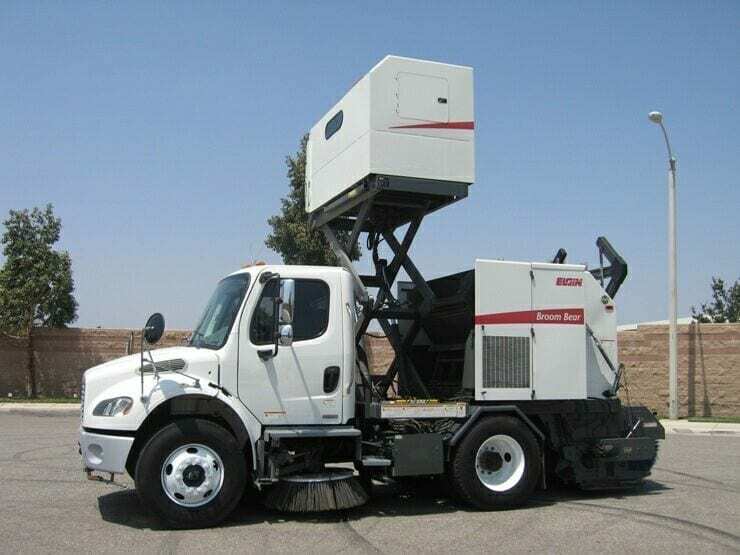 With a full fleet of parking garage sweepers and scrubbers, our team can provide this service to parking garages of any size.For each crew, we provide a ride-on power sweeper, portable machines, and backpack blowers to ensure that we never miss a single spot. 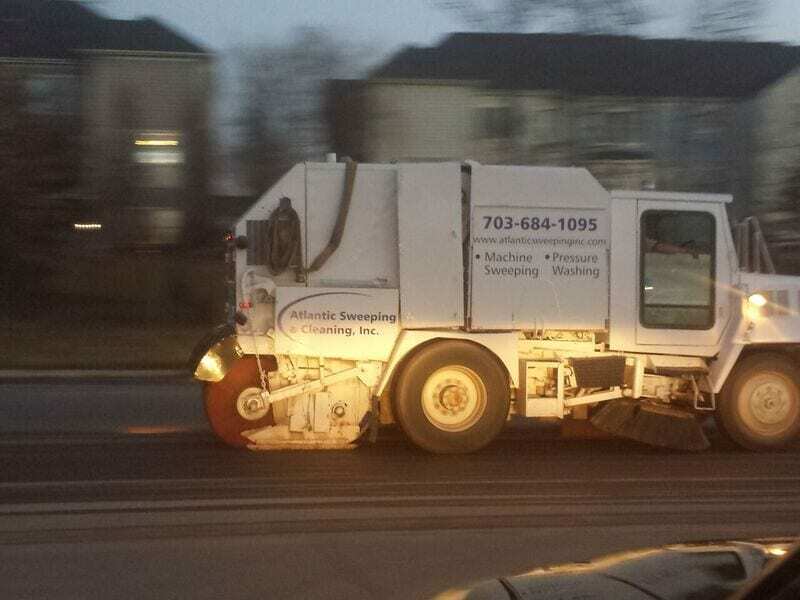 Street Sweeping in Virginia, Maryland, and Washington D.C. 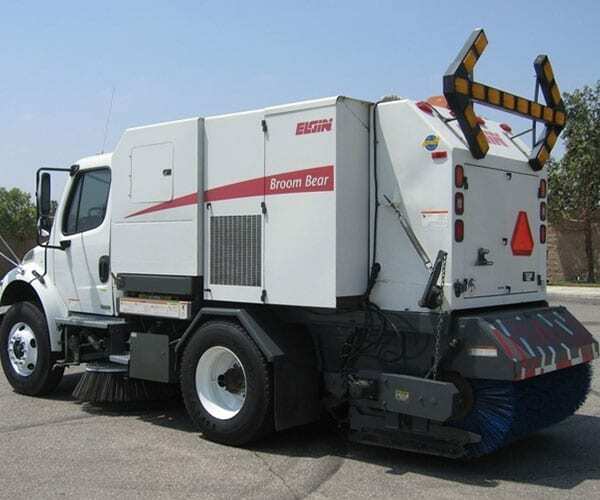 In addition to our garage sweeping services and parking lot sweeping in Virginia, Maryland, and Washington D.C., Atlantic Sweeping & Cleaning also offers street sweeping. 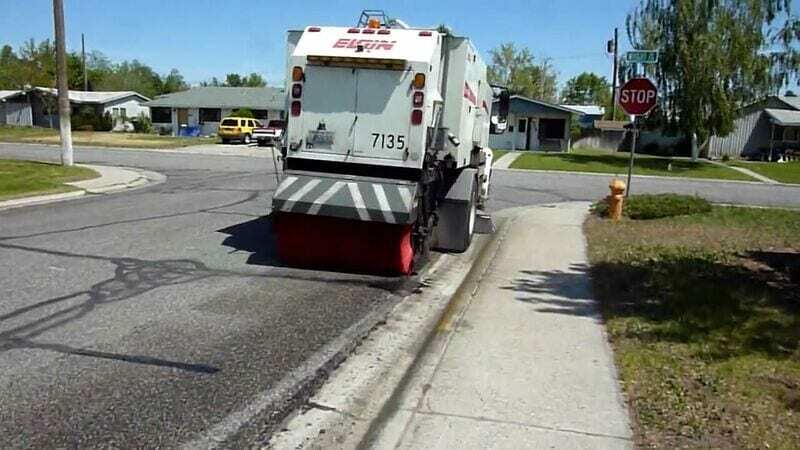 With street sweeping, you can ensure that the streets in your community, town, or city are not only clean, but are also safe for drivers. 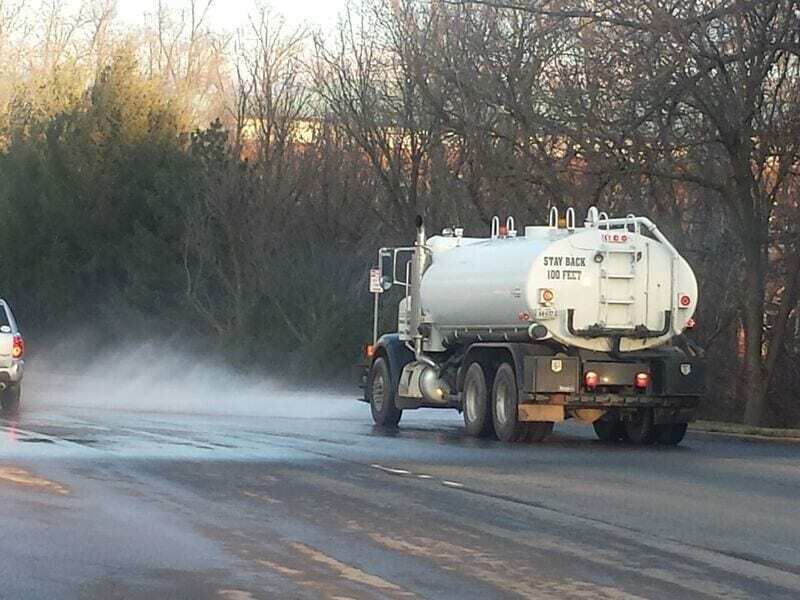 Choose Atlantic Sweeping & Cleaning for street sweeping services that are available 24 hours a day, 365 days a year. 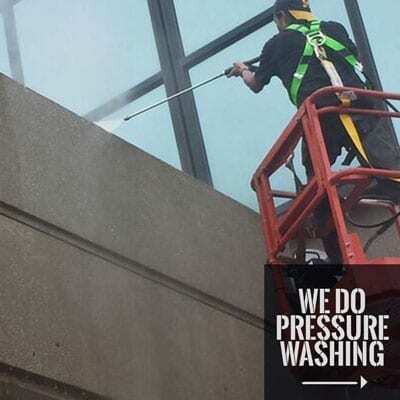 Contact Atlantic Sweeping & Cleaning today for our sweeping services in Virginia, Maryland, and the Washington D.C. area – >> Contact Us For A Free Estimate.